The Nigeria Maritime Administration and Safety Agency (NIMASA) on Monday said it had started rescue operations for the 12 crew members of MV Glarus hijacked on Saturday by pirates in Rivers. 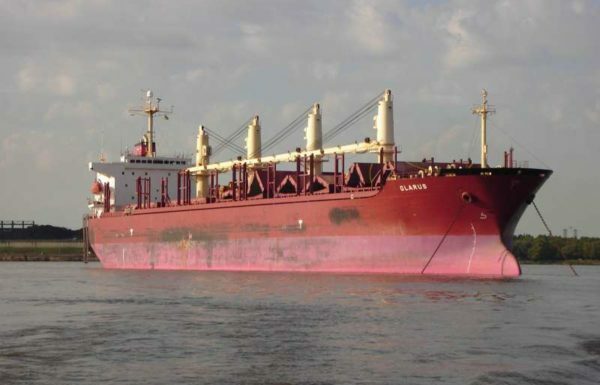 The News Agency of Nigeria (NAN) reports that crew men of the vessel “MV Glarus”, owned by Allison Shipping, was hijacked by pirates off the Bonny Island in Rivers for a ransom. The NIMASA Director-General, Dr Dakuku Peterside, who was speaking to newsmen in Lagos, condemned the act, adding that the agency was working hard to ensure the release of the crew. “We are working closely with Forward Operation Base (FOB) of the Nigerian Navy, the Falcon Eye alongside others to secure their release unconditionally. “The agency is saddened about the attack and the perpetrator will surely be brought to book to serve as deterrent to others,” Peterside said. According to him, the issue of piracy in the Gulf of Guinea is a challenge that must be tackled head-on. He said that the agency would ensure safety on the nation’s waterways. NAN reports that NIMASA recently adopted an all encompassing maritime security model tagged, Total Spectrum on Maritime Security Strategy.